(j) In which year revision of curriculum of each discipline took place ? Please specify. (i) < 3 years (ii) 3 – 6 years (iii) > 6 years. (i) < 10 (ii) 10 - 20 (iii) 20. (a) 512 Kbps – 1 Mbps (b) 1 – 2 Mbps (c) Above 2 Mbps. m. No. of outside experts delivered talk to students and faculty in last 3 years. o. Whether your institute has acquired quality management standard ISO 9001:2008 ? p. Indicate whether the programmes of your institute are NBA Accredited ? If yes, indicate the frequency of students feedback and how the feedback is used to improve the teaching-learning process? 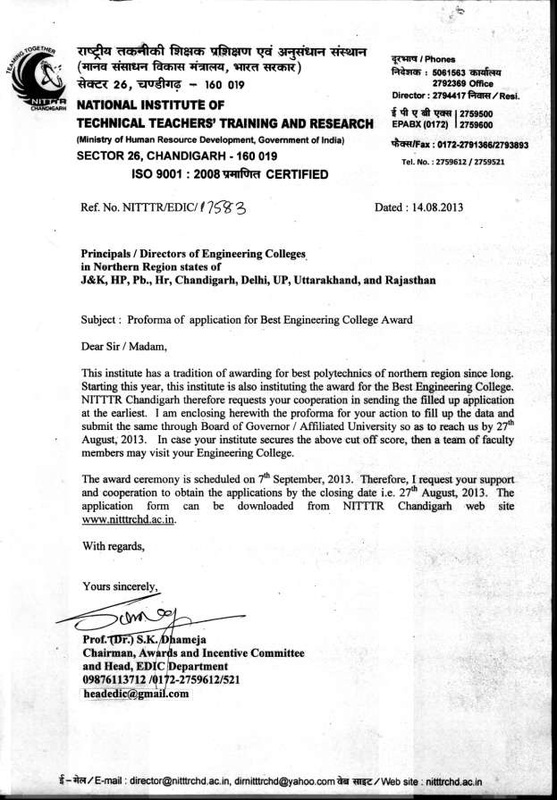 f. Professional body chapter like ISTE, IETE, IE, IEEE etc. g. Nos. of faculty members sent for attending Seminar & Conferences in last three years. h. Initiatives for faculty for best teaching or best results on the subject. Forwarded and recommended with comments. (Please give your comments).